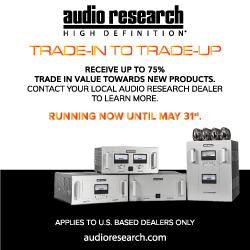 "The World's Best Audio System," TWBAS for short, is an exploration of the absolute best in high-end audio equipment. You'll find articles and equipment reviews by SoundStage! Network editor-in-chief Jeff Fritz as he maximizes his audio system. Ultra Audio's site platform was changed in August 2010. For "TWBAS" articles previous to that, use this link to transfer to the archived. Let’s Dance, David Bowie’s 15th studio album, appeared in 1983. Videos based on its singles were in heavy rotation on MTV, which by then had established itself as the dominant promotional tool for new pop music. Bowie’s acute visual sense made him a good fit for MTV, and his videos for “Let’s Dance,” “Modern Love,” and “China Girl” won viewers and sales. Those singles were among his biggest selling, and the LP hit no.1 worldwide. My kids are pretty good at saving their money. Granted, at seven and eight years old, the saving process lasts only so long, and for my son it usually ends with the purchase of a set of Legos he’s eyed for a few months. Still, the fact that he can keep it together long enough to reach even that goal is admirable. 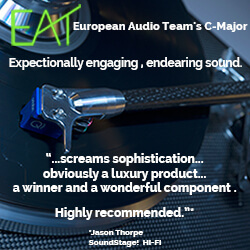 Though rarely followed, that good advice is just as sound when applied to loudspeaker design. Coming up with a good midrange driver is not child’s play -- it requires specialized engineering expertise and enough financial backing to design, model, test, build tooling for, and manufacture and assemble the parts -- and, once that’s all done, quality control. If a speaker maker can’t perform every one of those steps properly, they’re almost certainly better off letting Scan-Speak or Audiotechnology do the hard work for them. Those companies know the driver business, and chances are you’ll end up with something really good, if not exceptional, from them. Lots of speaker makers follow just this recipe, instead putting their efforts into other areas of design. 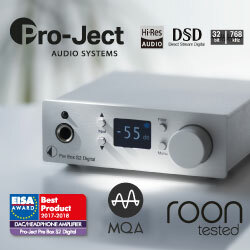 And that’s OK.
Having reviewed high-end audio gear for over 15 years, I like to think I know what to expect, and most times I’m at least close to being right -- these days, I’m rarely surprised by what comes through my listening room. Still, there are times when there’s a big difference between what I think I’ll hear and what I actually do hear. Kaiser GmbH is based in Untergriesbach, Germany, near the border with Austria, and their Kawero! Classic loudspeaker is perhaps the most surprising product I’ve had in my listening room in the last few years, but not for the reasons you'd imagine. The outward appearance of the Kawero! Classic certainly doesn’t tell the story of the advanced design work put into it. Or much about the sound that comes out of it. Or hint at its price: $56,000 USD per pair in semigloss finish (add $2000/pair for wood veneer; add $12,000/pair for “precision mirror finish clear lacquer”). The driver layout and cabinet configuration of the Kawero! Classic are unique. 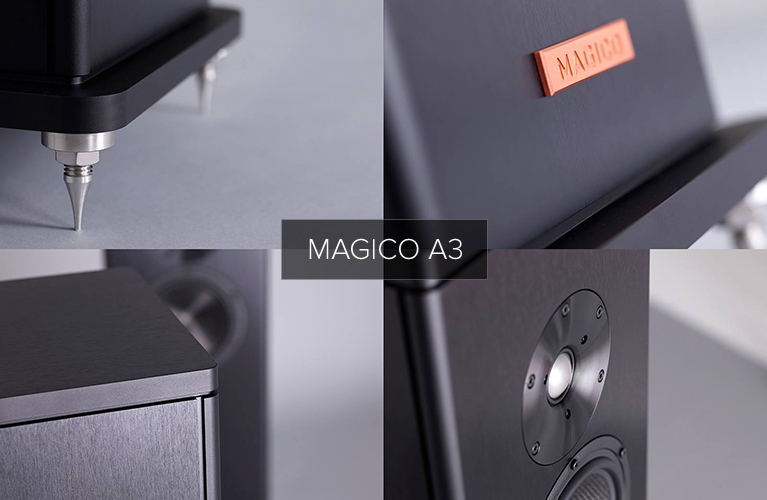 Rainer Weber, the engineer whose brain is behind this product, has a solid understanding of the acoustics underpinning good loudspeaker design, though his implementation of that knowledge is unconventional. 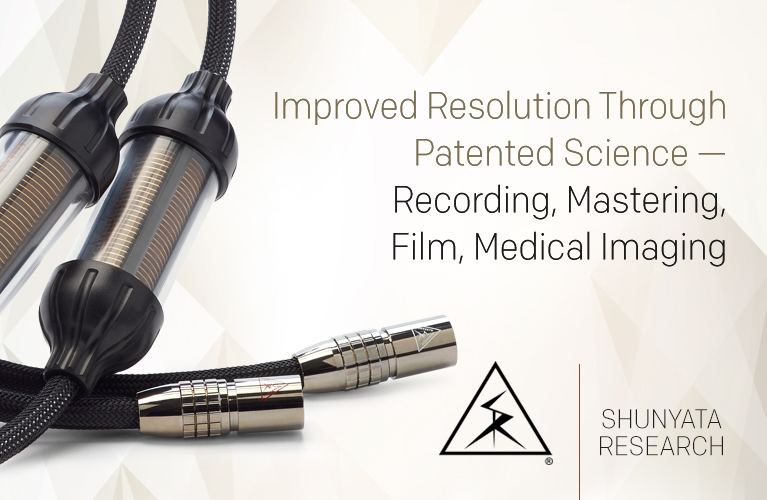 When I first saw the speaker, I wrongly assumed a worst-case scenario: that it had been cobbled together using a little science and a lot of home cooking. It was not configured like any of the speakers that have sounded best to me over the years. But as I dove into the details of the Kaiser’s design, I began to understand how thoroughly engineered it actually is. 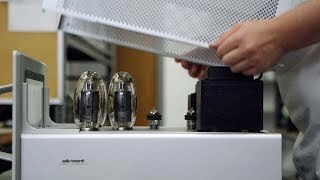 My two experiences of reviewing amplifiers from Denmark's Gryphon Audio Designs came a number of years apart. I reviewed the Antileon Signature Stereo amplifier way back in 2004. My reference system at the time was based on the original Wilson Audio Specialties X-2 loudspeakers and was housed in my living room. Although vastly different from what I’ve had since -- and especially now -- the sound of the Antileon Signature, which then retailed for $24,000 USD, is still burned into my memory. Fast-forward seven years. In 2011, I wrote about what was then Gryphon’s flagship stereo amplifier, the Colosseum ($43,500). Although nothing like the Antileon in terms of appearance, and with significantly improved sound, the Colosseum was clearly a Gryphon to the core, in terms of both sound and industrial design. 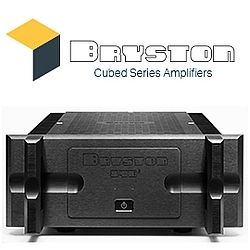 Gryphon still produces both amplifiers, but now there’s a new top model -- the largest amp the company has ever made. Its name is Mephisto, it was introduced at Munich’s High End in 2011, and it retails for a mind-blowing $57,000. Bel Canto Design has spent the better part of the last decade selling its e.One series of audio components, all of which come in basically the same case and measuring 8.5”W x 3.5”H x 12.5”D. They’ve managed to create a line that is identifiable to the customer -- important from a branding perspective -- and that will fit into almost any setting, domestic or office. By avoiding the massively built components found in the lines of companies like Krell and Boulder Amplifiers, Bel Canto removed an objection that many people have to getting high-end sound into a real room. 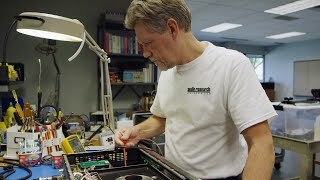 The most obvious downside to Bel Canto’s approach is that there’s only so much space inside that uniform case into which to squeeze all the parts and improvements typical of high-end audio circuits, such as overbuilt power supplies and isolating internal components in multiple compartments. At least partially because of this, Bel Canto builds their flagship digital front end into multiple boxes, to accommodate the growing complexity of their designs while maintaining the look they’ve become known for. Note: Measurements performed by BHK Labs can be found through this link. Bias is a hard thing to overcome. Even admitting that you have biases, let alone identifying precisely what they are, can be difficult. But such an admission is the necessary first step to being able to control them. High-end audio is fraught with biased reviewers, and I’m no exception. I’ve gravitated toward specific types of audio products over the years, and looking back, the trend lines are clear. My taste in power amplifiers has been for physically large, heavy hardware. There’s something confidence-inspiring about peering through the top vents of a 150-pound amp and seeing a huge transformer -- you just know that the bass that amp will produce will be subterranean, and that the amp will grip your speakers like a vise. 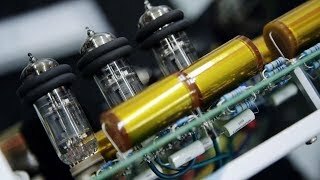 I "know" that about the amp before I listen to it -- that’s the definition of bias, and this one is built into my psyche. 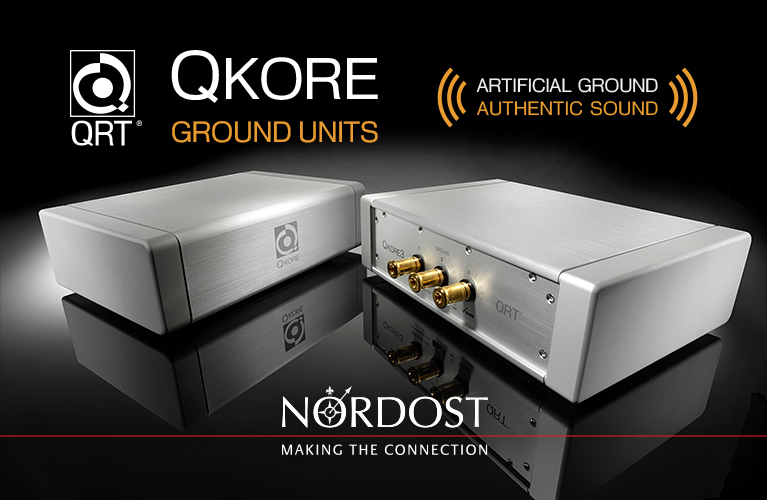 In almost any field of endeavor these days, starting a new company is hard enough, but it’s a daunting task to differentiate your high-end audio product from the many long-established models available so that audiophiles will buy yours, and especially with a solid-state power amplifier. 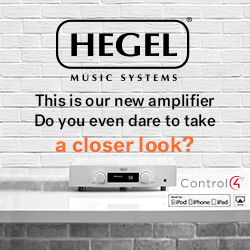 Let’s face it -- companies like Simaudio, Krell, Mark Levinson, Boulder, Vitus, and Gryphon are more than just formidable. Each has, at one point or another, been considered a benchmark by many in the industry, and each has an impressive track record that will make consumers more comfortable spending the enormous amounts of money asked for their products. Earlier this year, at the Consumer Electronics Show, I had a conversation with Michael Børresen, president and chief designer of the Danish loudspeaker manufacturer Raidho Acoustics. He made one specific point about his company that, while simple in concept, struck me as alarmingly important in understanding his loudspeaker-design philosophy. Børresen said that whereas most companies buy raw drivers from third-party vendors but make their cabinets in-house, he decided early on that Raidho would do the opposite. He realized that while cabinet-making capability is readily available, designing and building drive-units from the ground up would give him the absolute technical control he needed to make Raidho speakers sound precisely as he envisioned them. Basically, he didn’t want to outsource what is arguably a loudspeaker’s most important component: its drivers. That conversation hit me like a ton of lead. Why don’t more speaker manufacturers actually make the things that make the sound -- the drivers -- themselves? Based on my experience, I’ve concluded that the answer is one of two things: Either they don’t know how to design drivers, or they don’t have the capital to invest in the manufacturing capability. One thing was certain from my conversation with Børresen: Raidho speakers are designed from the ground up and the inside out, starting with the drive-units. But then there are a number of technical elements that are important to Raidho. Read on . . . When Sonus faber released the Amati Anniversario loudspeaker in 2005, it was to commemorate the 500th anniversary of the birth of Andrea Amati, the master instrument maker from Cremona, Italy. In fact, Sonus faber has always paid respect to what they see as their national musical heritage, as witnessed by the Homage series of loudspeakers, which has honored such great luthiers as Stradivari and Guarneri, in addition to Amati. But in their tributes Sonus went beyond mere names, designing their speaker cabinets to resemble the classic shape of the lute: “a stringed musical instrument having a long, fretted neck and a hollow, typically pear-shaped body with a vaulted back.” The “grille” of a Sonus speaker is actually a series of vertically oriented strings, which serve to complete the resemblance to a stringed instrument. 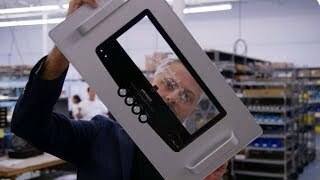 Knowing that Sonus faber pays such painstaking attention to the symbolism of their products’ appearance, it should have raised more than one eyebrow when the company named their newest Amati model the Futura ($36,000 USD per pair). On close examination of the brochures and website that were released with the Futura, it didn’t take me long to figure out that this classic company was not content to rest on its laurels.